their opinions carry weight that cannot be underestimated. With the prospect of a post-Assad Syria, the opposition are preparing for a transition government. Apart from preparing the way for democracy, they must also calm sectarian tensions, disarm Free Syrian Army (FSA) fighters and control radical elements in society. The possibility of achieving that seems remote considering that their last meeting in Cairo, on the 3 July, ended in fisticuffs. 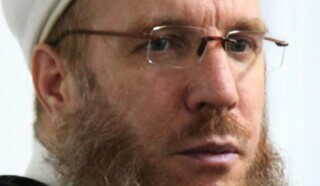 However, the Syrian Sunni ulama, contrary to perception, could be the solution. Up to now Western policy makers and the media have overlooked this important segment in Syrian society. 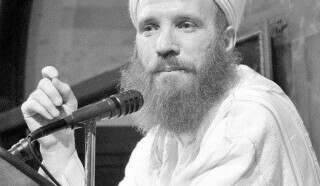 According to a recent lecture by Sheikh Muhammad al-Yaqoubi at Royal United Services Institute, these Sunni religious functionaries number over 10,000 strong. The main prerogative of these ulama or scholars is religion. In reality, however, depending on their expertise and qualifications, they deal with everything from birth, marriage, jurisprudence, finance, academia and worship. 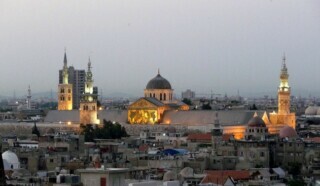 Their position has been established since the Umayyads made Damascus their capital in the seventh century. The influential role they played is found in the voluminous biographical dictionaries and histories of the region. Even a cursory visit to the Umayyad central mosque reveals plaques testifying to their hallowed status. This historical influence still reverberates. When reports came out that Hama and Homs were hot beds of sedition organised by religious scholars as well as Muslim Brotherhood members it was hardly surprising. The two towns, ten minutes drive from each other, sit on the fertile plain known as “the land of a thousand martyrs” in memory of those Muslims warriors who fell in the early Islamic conquests. 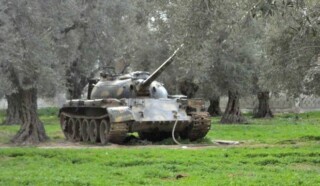 Homs is the burial place of Khalid bin Walid, a celebrated general from the conquest period. The two cities have been a centre of four Sufi religious fraternities, active since Ottoman times. 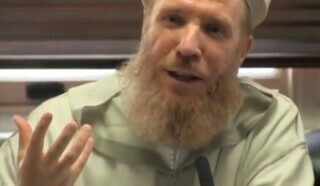 Since the 60s the area has served as a recruiting ground for the likes of Muhammad as-Siba’i, one of the main ideologues of the Syrian Muslim Brotherhood. 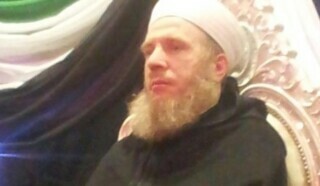 As-Siba’i himself was from a local scholarly family. 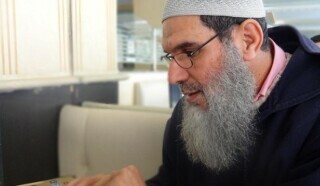 Many Syrian ulama are from families whose religious pedigree goes back for centuries. 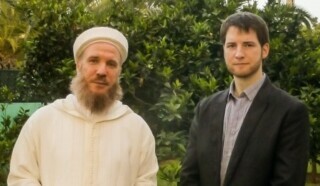 The lineages of Sheikh Ratib Nabelsi, a man with over 54,000 ‘likes’ on his FB page, and Sheikh Muhammad al-Yaqoubi go back to Ottoman times and beyond. The ulama, irrespective of the authorities, are still viewed by many as the true inheritors of the Prophet. 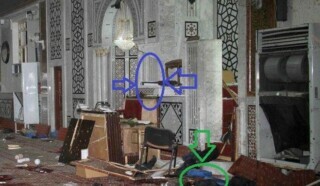 This is why the Syrian ulama cannot be ignored and are most definitely here to stay. Consider that on Thursday nights, the beginning of the Syrian weekend, the lectures of Sheikh Ramadan Buti attract bigger crowds than the night clubs around Bab-Touma, Damascus. Visit Rukn ed-Din a stone’s throw from Sheikh Ratib Nabelsi’s mosque and witness his mp3 lectures compete with the latest offering from Lebanese pop starlets. The late Sheikh Ahmed Habbal, the Syrian equivalent of Dostoyevsky’s father Zossima from Brothers Karamazov, used to attract hordes of followers. In the 80s, following the massacres in Aleppo and Hama, the ulama played an instrumental role in preventing Hafez al-Assad from outlawing the Hijab. 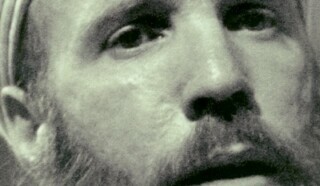 In fact, the influence of these religious scholars transcends borders. 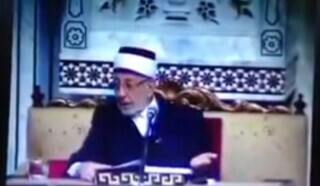 According to his biographer Dr. Tamimi, Rachid Ghannouchi, founder of the Tunisian Ennahda party, used attend the lectures of Sheikh Ramadan Buti, Wahb Az-Zuhayli and was heavily influenced by Mustafa as-Siba’i. 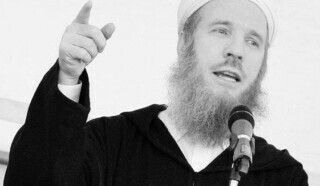 The opinions of Syrian ulama, though not binding, carry weight that cannot be underestimated. Unfortunately, that is exactly what the media and policy makers are doing. Their judgment is informed by stereotypes of Iranian and Saudi religious functionaries. 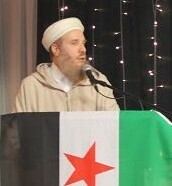 Moreover, as Thomas Pierret, in The Role of the Mosque in the Syrian Revolution observes, the Sunni ulama appear divided. However, this overlooks the historical context of how Syrian ulama have interacted with power. Traditionally, some take a Burkean position and co-operate with the government because the prospect of civil instability is worse and unconducive to spiritual growth. This is the rationale for the attitude of Sheikh Ramadan Buti and others who have been slow in condemning the government’s actions. The second is the gradualist approach represented by the Rifa’i brothers in Kafer Souseh, Damascus, who remain aloof from authority and hope to achieve political change bottom up. 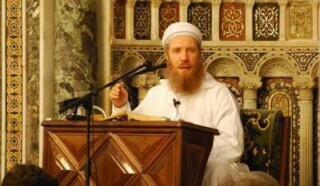 Then there is the position of scholars from Homs and Deraa like Sayasne or the jurisprudent Rizq Abazayd and others like Sheikh Muhammad a-Yaqoubi who see themselves as representatives of the people. They believe they must critique and if necessary, prevent the authorities from abuses of power. All of these positions are understood and accepted as valid within the Syrian tradition. Hence both “government” and opposition scholars like the late Grand Mufti Ahmed Kaftaro, the highest official of religious law in Syria, and the late Sheikh Abdul Fattah Abu Ghudda, a scholar affiliated to the Syrian Muslim Brotherhood, are celebrated. 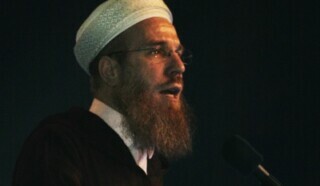 Syrian society understands well the dilemma that the ulama face. The present positions of Syrian ulama then, should not serve as a basis for their marginalization in the political process. However much their presence irks policy makers, ignoring them jeopardizes the whole democratic project in Post-Assad Syria and closes off access to an important player in Syrian society. Arguably, they are better placed to deal with the situation than the SNC. 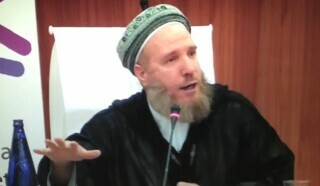 Whilst opposition groups have suffered severe repression since the 70s, the government détente with the ulama meant that religious activity could occur, albeit under close scrutiny. Consequently, the ulama managed to build up grass roots support through their charity work. 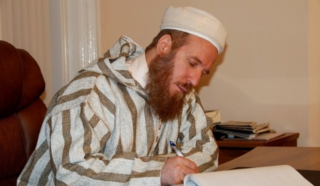 Scholars like Muhammad al-Kheir, a director of an educational institute or Sheikh Yahya, a local Quran teacher in Rukn ed-Din, operate clothes and food banks and run co-operatives that offer interest free loans. They command considerable moral authority in the local community. Consequently, men like them are well placed to disarm FSA fighters and counter radical elements within the country. 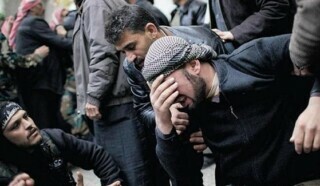 In fact, bar a few firebrands, the ulama are aware of the Syrian sectarian milieu. 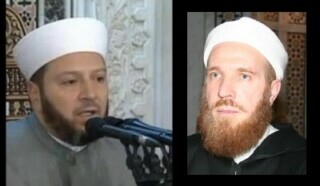 This is evidenced by the efforts of the previous Grand Mufti of Syria Ahmed Kaftaro and the current one, Ahmed Hassoun. Both have always stressed the plurality of Syrian society. As part of a compact of 107 ulama, Syrian scholars have urged the FSA to follow the proper rules of engagement including the respectful treatment of Syrian minorities. Whether the FSA is complying is another matter. 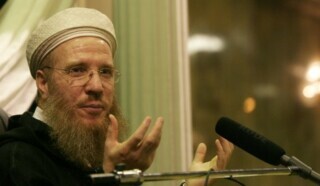 However, according to Sheikh Muhammad al-Yaqoubi at his recent RUSI lecture, this seems to be occurring. With the prospect of sectarian tensions, radical elements and civil war; it seems that the ulama have the moral authority to tranquillize Post-Assad Syria. Perhaps that is exactly what is needed considering that so many lives have been lost. In the likely scenario that Post-Assad Syria will be a Sunni-dominated entity their influence and significance should only be ignored at the cost of further instability. Is the National Coalition Truly National? What is a woman who lost her husband during the Syrian revolution to do?